Is Vevo the next MTV?. 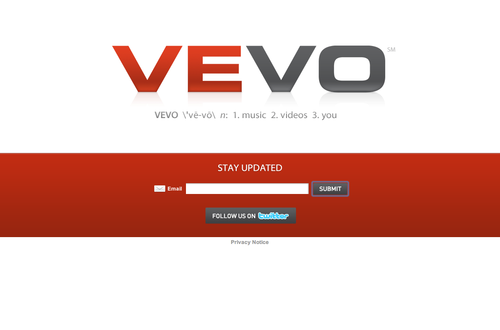 France) recently announced VEVO a joint venture to launch later next year. 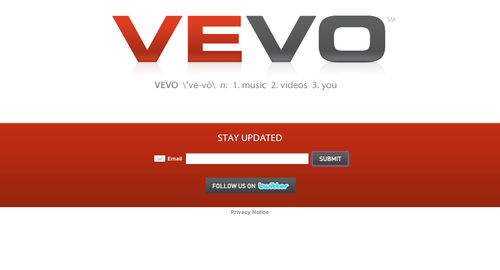 Vevo is a very interesting step in the future. Basically is an ads driven music website where users will be able to watch music provided by UMG via YouTube Technology. UMG will be the content provider, and YouTube the content platform distributor. As we said on this blog a long time ago, YouTube needs to make its users customers, and deploy its platform opening its technology to powerful content providers. The launch of Vivo (prossibly only the first step towards the Majors league) signals a new strategy by YouTube: after the “channel” after the content providers, here it comes the second step: the co-branded website. Vivo is a tipically win-win situation: Google offers its no-glitches no-problems super fast web platform, and UMG offers its music library. By the way, in their own markets (video provider on the web and music editor) these two are the bigger players. One last word, as visual and web designers, we like the new logo very much. IP Faber – the intellectual property specialistcopyright ideas Information Technology internet marketing musicIs Vevo the next MTV?